‘The only way is poppy’ with Ella Vine Lingerie. With our blog post, ‘The adventures of Ella Vine and her poppy stockings and poppy suspender belt’ https://rations2rocknroll.wordpress.com/2017/10/09/the-adventures-of-ella-vine-and-her-poppy-stockings-and-poppy-suspender-belt/ , being one of our most popular we are pleased to have been able to chat with, and get to know, Ella Vine; founder of Ella Vine Lingerie. Christine @Rations2R_n_R (C). Thank you for talking to us Ella. We would be pleased to learn about Ella Vine; the woman behind Ella Vine Lingerie, and your background. Ella @EllaVineBrand (E). I am a three times Polish junior chess champion. I arrived in the UK at the age of 22, straight after graduating at university in Poland in social care and political sciences. I arrived alone, with just one bag and poor English, knew nobody and my first job was a care assistant role for a minimum wage in a mental health care home. I am a 32 year old mother now and almost all my adult life I have been tirelessly working in the charity sector because I like to help people. Within just a few years I have been able to achieve a lot: from setting up and running charities, community organisations and political campaigns. I helped thousands of people and families and have even stood as a candidate in local elections twice in Thurrock, Essex, where I live. (C). Please tell our readers about the innovative poppy stockings and poppy suspenders’, how they differ from ‘traditional’ stockings and suspenders, and is there a specific reason that led to you developing your unique products. (E). The Ella Vine Lingerie brand started because I was able to turn my medical condition into an entrepreneurial idea. I have to wear medical compression hosiery following a thrombosis after an accident in the past. I have been struggling ever since with attaching medical stockings to a suspender belt as it was difficult, took a long time and involved some uncomfortable and awkward bending. I have been thinking every time I was attaching it that it is the 21st century and that the lingerie giants should come up with something better. So finally I invented poppy suspenders that attach easily and quickly to poppy stockings via simple poppers. I wanted to help not only myself, but also other women. I own design rights for the poppy products and sell them to various retailers. That’s how Ella Vine brand was born. (C). For how long has Ella Vine Lingerie been in business and do you have a particular achievement so far of which you are especially proud? (E). The Ella Vine online store has been open since May 2017. Since then I have a few stockists, who stock the products, and a few more will do so in the New Year. They range from online and brick & mortar lingerie shops, adult stores, and also Scarlett & Jo, British top plus size brand for women. Every little thing has been a great achievement – everything forms the bigger picture so it is difficult to outline just one or two. I am happy with every achievement small or big, because all of them bring the company closer to the aim – to make poppy suspenders and poppy stockings mainstream and easily available to all everywhere, in every lingerie store. (C). You supported a charity fundraiser for M.E. and fibromyalgia in Andover on 20th October. Please tell our readers about your support for these causes. (E). I had M.E. and fibromyalgia myself and I have been working for a fibromyalgia charity for over 4.5 years. This is a cause close to my heart. I know a lot about these conditions and I know many people who are affected by them. I will always be happy to support this cause. (C). Stockings have had somewhat of a resurgence in recent years. I would love to hear your thoughts as to why this is. (E). Stockings became more fashionable, they come in many styles, colours, sizes etc. I welcome that they became more popular – it is great! I think we all love the look of stockings and prefer them to the look of tights! (C). Are there future plans for Ella Vine Lingerie that you are able to share with us? (E). Yes, there is one main aim – to make poppy suspenders and poppy stockings mainstream and widely accessible to everyone, available in every lingerie and underwear store worldwide. Once the aim is achieved, I will relax! (C). What advice would you give to women looking to set up in business? (E). I love a sentence from Alice in Wonderland: “The only way to achieve the impossible is to believe in it”. Believe in yourself. You can achieve anything you want. You can be anyone you want. If you want to do something, just go for it! And always, absolutely always, listen to your intuition. (C). Where can Ella Vine Lingerie products be found other than on your website? (E). You can try on our poppy products in Swindon and in Southend on Sea. Pop in to Provocative Pleasures in Swindon and to the Mistress Boutique in Southend. You can find them online in Scarlett & Jo store and in Pleasure Attic store. They soon will be available from a few other outlets. (E). Yes, we do. We have customers from all over the world. The most popular countries after the UK are the U.S., Canada, Australia, the Republic of Ireland and many European countries. The only way is poppy! We are honoured that you have found the time to chat with us Ella. We wish you well in the future with your endeavours. Ella Vine Lingerie’s website may be found at https://ellavine.co.uk/ . 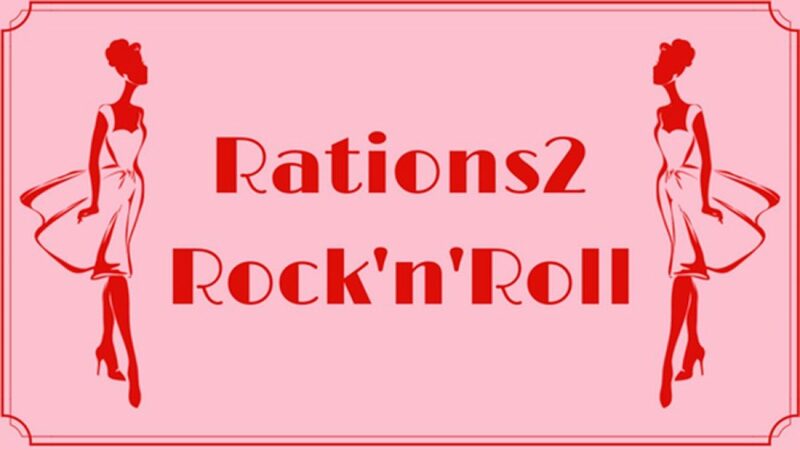 Author rations2rocknrollPosted on December 1, 2017 Categories Charity, Fashion, Hosiery, Lingerie, Poppy stockings, Poppy suspenders, Stockings, Suspender beltLeave a comment on ‘The only way is poppy’ with Ella Vine Lingerie.